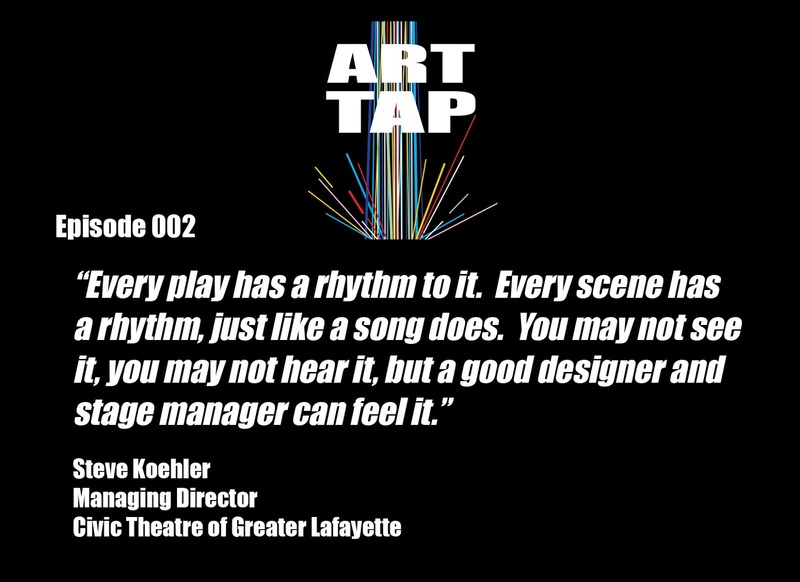 Episode 002 features an interview with Steve Koehler, Managing Director of Civic Theatre of Greater Lafayette and a "Look Up" for John Oliver fans. I've known Steve for years but really got a better appreciation for his background and the work of a lighting designer in this conversation. Civic Theatre does amazing work in and with the community, with hundreds of individual volunteers playing a part in almost all aspects of productions throughout the year. I want to thank Steve for being my first interview guest on the ART TAP podcast, and a good and patient one at that. Information on Civic Theatre can be found at their website and @Lafayettecivic. I encourage you to take note of their upcoming schedule of productions and make a habit of attending. A new season of MainStage, Children's Youth Theatre, and Staged Readings begins again in September. I mention an article I recently found on a blog I visit called Colossal. Information on The Parthenon of Books by Marta Minujín can be found here. And Steve provided this week's "Look Up," a segment from a recent episode of John Oliver's Last Week Tonight on Warren G. Harding and an imaginatively utilized wax figure, as well as a few Academy Award nominees having some good clean fun. OK, so maybe not so "clean." NSFW warning. The segment can be found here - enjoy!